Type locality: Brazil, Rio de Janeiro, Campos do Goita Cazes, Villa Sao Salvador. Schinz, 1821. In Cuvier, Das Thierreich, 1: 870. 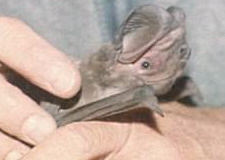 Eumops perotis in Mammal Species of the World. This page was last edited on 4 April 2019, at 19:47.